Photo Gallery #769: Click edit pencil to get the selected gallery name. 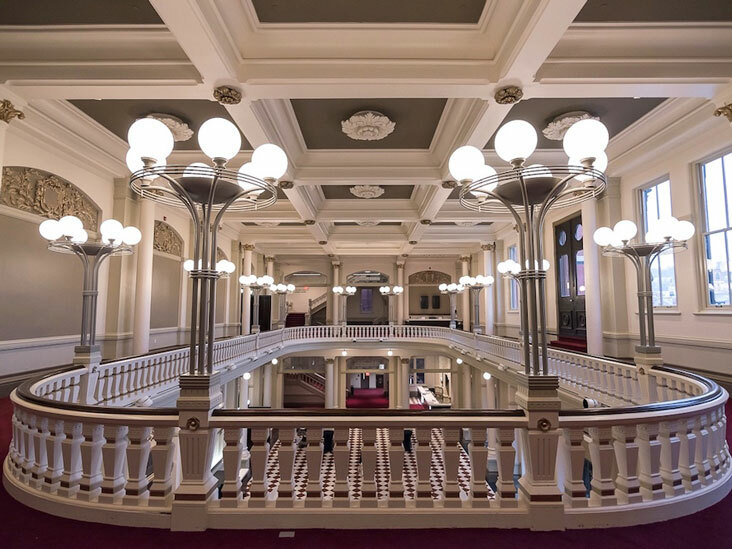 This historic music hall, home to the Cincinnati Symphony, Opera and Ballet, completed a $143 million renovation in 2017. The custom torchieres measure 54 inches in diameter by 80 inches tall, and feature rolled and welded aluminum tubes and rings mounted to a base support plate. The fixture incorporates LED lamps in each globe with Philips Color Kinetics luminaires concealed in the center bowl. Matching ceiling mount fixtures were also provided.